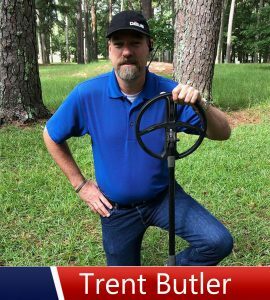 Trent got his start in metal detecting back in late 2000 when his fiancé purchased him a Garrett Treasure Ace 300 for his birthday. In 2010 he purchased an AT Pro and began using it effectively too. 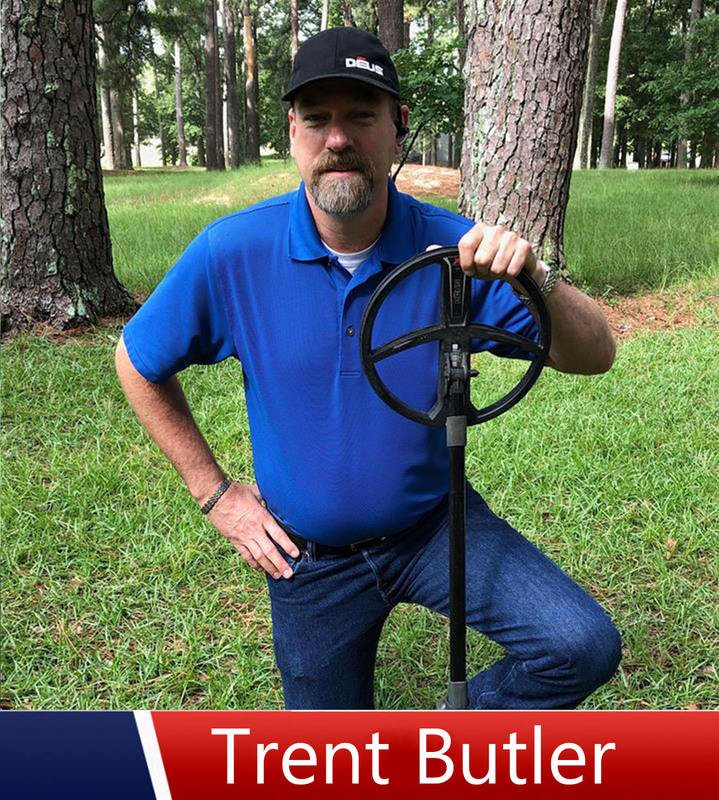 “One afternoon my best friend and I were out digging on a permission I have where the Civil War was prominent. My friend got a signal on his XP Deus about 18 inches down in a very sandy soil. It was a clean 94 on his detector and didn’t waiver at all. He asked me to come video his dig which I gladly did. After he had dug down to his target, he asked me if I would like to swing over it with my AT Pro. I agreed and began to swing my detector and stock coil over the target. The response was deafening. I got no signal at all. I tried several different settings and swing speeds and still never heard a thing. Needless to say I was stunned that my $600 detector couldn’t even get a hint of a target in the hole. My friend unveiled an exquisite 1865 Seated Liberty Half Dollar. A Civil War year half dollar at that. I was truly blown away.